Editor’s note: The author’s family lived in several different Afghan provinces where schools were closed while she was growing up during the Taliban years. 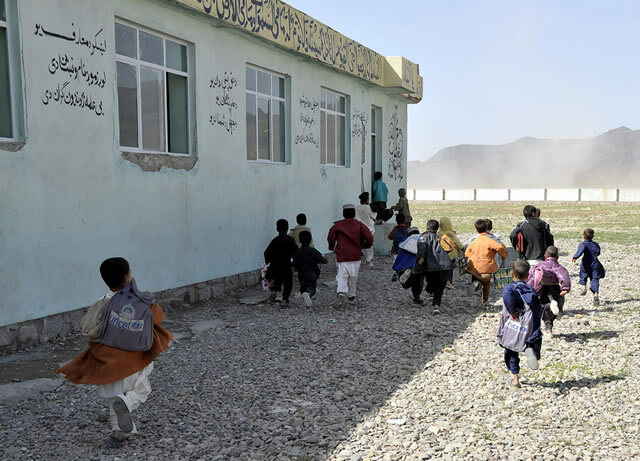 In 2016, schools in many provinces of Afghanistan are now closed again. This is a wonderful poem that speaks to how powerful the desire to learn is in you and others. It is distressing that schools are closing again but I hope that you will continue to find ways to learn amidst the increasing threat from ISIS and Taliban. Thank you for writing this. Thank you for your encouragement words and sharing my poem with your wonderful students. Hello, Sharifa! Your poem makes me think of how too many in North America take even basic education for granted – or even act as if they could live well without it. If only we all could love learning as you do (and your peers, I am sure). I hope you can continue your education. Everyone deserves one. Remember: the pen is mightier than the sword. This poem really reminds me how much people go through in the world. This is such a beautiful poem and I really enjoyed it. The love of learning and the resilience in getting an education that you write about in this poem is inspiring. I feel as though my own education (and the many opportunities I have been fortunate to be blessed with) is put into perspective, and has made me appreciate it even more. Thank you for sharing this poem with us all. Dear Sharifa, thank you for sharing this beautiful poem. I admire your dedication to learning all the lessons life has to offer and am inspired by your courage to not let the challenges you have faced define you or prevent you from fighting for your right to receive an education. The love and desire you have to learn is evident in this poem. It is a beautiful thing to read. Never let your pursuit of knowledge falter. You poems are beautiful, and speak to my soul. We are worlds apart, but in this poem, I see you. Your words are quintessential, Sharifa. Your pursuit of knowledge serves as a great inspiration. Never stop filling your cup. Lead by example. Thank you for the outstanding poetry. This was an interesting poem. It really shows the harshness and brutality of life and how unfair it is for you to get what you really want. An education is something everyone deserves and the fact that someone is taking away your opportunity is just egregious. Sharifa, I am truly sad that you have had to go through such horrifying experiences in your life. I am also sorry that, your right to an education is being unjustly taken away from you. On another note, your poem was beautiful and very powerful. Your poem, brought out the beauty of education, while still bringing out the horrors of having taken away. I hope that one day, everyone around the world will be able to get a quality education, despite the conditions that exist in their environment. I wish you the best of luck, and hope that you can continue your educational journey.